This is probably the tiniest and most delicate species of all. The tiny torpedo shaped blue blushed pink leaves drop at the slightest disturbance, to root and make an extensive ground cover. I don't recommend it for use in containers due to this feature, but excellent in rockeries and miniature scenes. Unfortunately, it suffers from dieback in harsher climates, but can quickly make up lost ground over the summer. 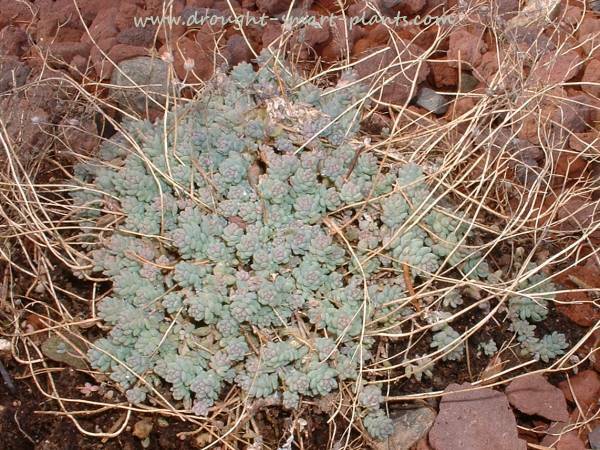 Eventual spread can be up to 20cm (around 8") across, made up of many separate plants. White flowers are born on 6cm (3") wiry stems in summer, seeming large for the scale of the plant. The stems are easily removed, or simply left on the plant for a different and contrasting texture. 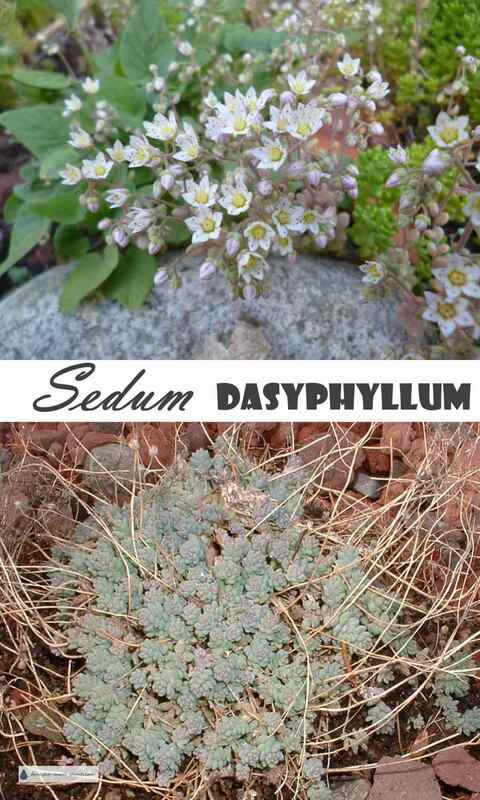 I use this species in combination with Sedum pluricaule, Sedum album 'Faro Form', Sedum niveum and Sedum ewersii along with a selection of Sempervivum arachnoideum in a tiny hypertufa pinch pot.